First up, although I used the word ‘great’ in the headline, I make no assurances as to the greatness of this post. It’s just there for effect right now, although by the end it may well be descriptive. One of the things people have been wondering since Unai Emery took over as head coach is who he might bring in, but also how he’s going to use to the squad we already have. Who will be his favourites? Who will be shown the door? And of course we have no idea, because he’s only been in the job a week and has given no indication as to who he fancies or otherwise. Still, what’s football about if not guessing how he might view the current crop? So these are my predictions about what he might do in each section. Staying: Petr Cech has just been given the number 1 shirt, and my belief is that his experience and intelligence are seen as important qualities even if his goalkeeping prowess is on the wane. He’ll be an educator, a facilitator as we bring in a young keeper with the potential to take over that shirt in the not too distant future. Going: I have predicted the departure of David Ospina for the last couple of seasons – usually to some Turkish side – but he always stays. This time however, I can say with absolute certainty that he might possibly go. Perhaps. With one year left on his contract and Arsenal in the market for a new keeper, he won’t hang around. Unless he does. But I he probably won’t. Maybe. I think Emi Martinez, at 25 years of age and with barely a handful of first team appearances to his name, will also be moved on, while Matt Macey will probably remain back up to the back up. Staying: Rob Holding and Calum Chambers have signed new deals recently; Hector Bellerin is an important asset; Nacho Monreal is a sure thing, Sead Kolasinac will be given another go after an ok-ish first season; Mavropanos is new and Laurent Koscielny is too injured to go anywhere. Going: Arsenal need to improve at centre-half and that’s going to mean curtains for somebody senior and I reckon it’ll be Shkodran Mustafi. It might well be a case that Emery sees him as the kind of centre-half he likes to work with, but if we’re gonna sell one to buy one, he could raise some funds given what’s left of his contract. He almost went last summer, and I think it’ll happen this time around. Staying: Granit Xhaka will be here next season, as will Mohamed Elneny who is a very useful squad player and has also had the shirt number change assurance (he’s now our new number 4). There’s no doubt that Ainsley Maitland-Niles will be seen as one for the future, and I’m sure the new man will be looking at the experience and quality of Henrikh Mkhitaryan and Mesut Ozil as key components of his side. Although I harbour serious concerns about his future, I’m going to guess that Aaron Ramsey will be convinced to sign a new contract by the new project and perhaps the captaincy, as well as a very healthy pay rise. Going: Santi Cazorla’s departure has already been announced, sadly his Achilles problems and skin grafts meant a new deal was just not sensible in any way. That really only leaves Jack Wilshere whose contract expires imminently, and it just feels like the timing and circumstances mean he’ll be playing elsewhere next season. Arsenal need to add somebody to central midfield, that would leave Wilshere as a squad option – and a pretty decent one too – but I think being able to go somewhere else to be more senior as well as the lure and security a Bosman signing provides will dictate what happens here. Joe Willock will go on loan, while the Reiss Nelson situation is one to keep an eye. With just 12 months left on his contract, can Emery involve him enough to make him feel like his future is at Arsenal? It’s in the balance right now as he is yet to put pen to paper on the new deal that has been on offer for some time. Staying: One of the most interesting aspects of this new era is how the Spaniard uses both Pierre-Emerick Aubameyang and Alexandre Lacazette. They’ve got plenty of goals in them and I don’t really see it as an either/or situation in terms of team selection. They can play together, we’ve seen that, but it’s exactly how we deploy them that makes me curious. Unless Emery has some left-field ideas about what he wants to do with his attack, I don’t think this is an area in which we’ll see a huge amount of change. I’m looking forward to seeing if he can get more out of Alex Iwobi, for example, a player I believe to be very talented but who has hit something of a plateau in his development. Maybe with different coaching and instruction we’ll see more from him next season, but I can’t see us letting him go without giving him that chance. 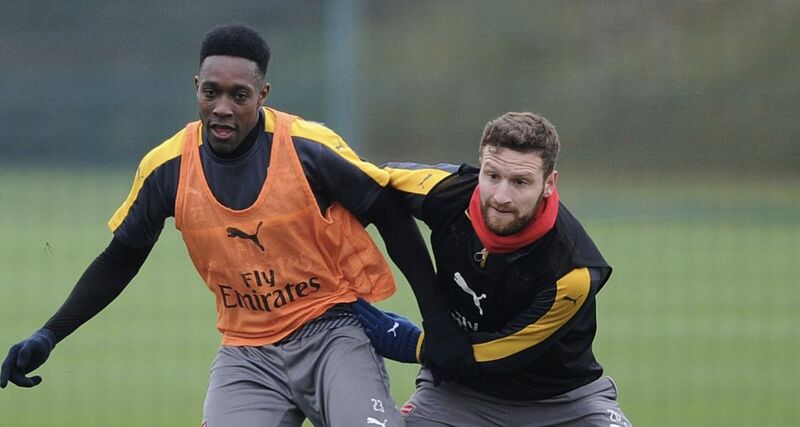 Going: I’m putting Danny Welbeck here because he’s the only one of the current crop over whom I have some doubts. With a year left on his contract will he be willing to stay and play second fiddle to Aubameyang and Lacazette? Does he want another season as third choice striker and occasional wide player? As an England international he might well raise a decent few quid if we decided to let him go, so I’ll earmark him as departure despite the fact I’d consider him a decent squad player and a good option as we look to juggle both the Premier League and the Europa League next season. If he goes, it might leave space for Reiss Nelson to move into but it’d leave a gap that has to be filled, whether it’s a promotion from within or a new arrival. There are loan/fringe players but it’s hard to see any real future for any of them. Carl Jenkinson, Joel Campbell and Lucas Perez are all still Arsenal players in name, but aside from the Spaniard perhaps providing some back-up, I just don’t see any situation in which they’re part of the squad next season. So, all in all not a huge amount of upheaval, basically one player gone from each area of the pitch, hopefully being replaced by new and improved models as we build for the future. No manager or coach is going to come in and tear things up in his first season, and he’ll need more than a truncated, post World Cup pre-season to fully make up his mind about some of the squad. If you think there’s going to be anything different, chime in on the arses and tell us why. As James is away, we’ll be doing the Arsecast Extra tomorrow, catch you then.